The Centre for Women’s Ultrasound takes great pride in the experience and training of their staff. At the Centre for Women’s Ultrasound Westmead and Bella Vista rooms, we are dedicated to providing a complete obstetric (pregnancy) and gynaecological (pelvic) ultrasound service to women at all stages of life. Our team consists of our specialist obstetrician, six sonographers, our midwife and four secretaries who will all work together to make your visit with us comfortable. Our routine pelvic scans are provided by sonographers with many years of experience in gynaecological scanning. Private rooms with female staff are provided for your comfort. Diagnostic procedures such as sonohysterogram for uterine anomalies and HyCoSy for tubal patency assessment are available and performed by the specialist gynaecologists at our practice. Our female obstetrician and gynaecologist, Dr Indika Alahakoon will provide a specialised interpretation of your results, with her extensive training and experience in diagnostic ultrasound. Our experienced highly skilled sonographers provide detailed ultrasound images of your baby. Our caring and gentle service, combined with our state-of-the-art ultrasound machines, ensures we can provide an ultrasound service of the highest quality. Our centre also has the facilities and the expertise to provide 3D/4D ultrasound images of your baby at all stages of the pregnancy. Our prenatal diagnostic services include procedures such as amniocentesis and chorionic villous sampling for chromosomal testing as well as cystic fibrosis and other inherited genetic conditions. A practicing specialist in Maternal Fetal Medicine, Dr Indika Alahakoon is available to consult and counsel patients regarding any complications in pregnancy. We will also provide you with a Trice link to download your images/videos, for later viewing at home with family members and friends. Dr Indika Alahakoon is an experienced Obstetrician and Gynaecologist, who has further specialised training in Diagnostic Ultrasound Imaging (Ultrasound specialist) and managing High Risk pregnancies (Maternal Fetal Medicine Specialist). 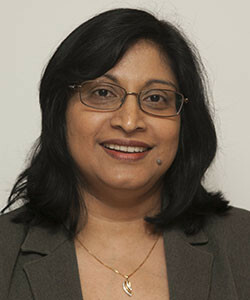 Dr Indika Alahakoon consults obstetric patients at her rooms in the Specialist Medical Centre, Norwest Private Hospital and at Centre for Women’s Ultrasound Westmead, booking confinements at The Westmead Hospital, Norwest Private Hospital and Westmead Private Hospital. Her specialised obstetrics and gynaecology ultrasound services are also provided from both premises. Dr Indika Alahakoon undertook her medical training at The University of Sydney medical school, where she graduated with first class honours. From an early stage, Dr Alahakoon was interested in Obstetrics and Gynaecology, doing an undergraduate elective term in an obstetric unit in Sri Lanka. She embarked on specialist training in Obstetrics and Gynaecology early in her career and completed training at The Westmead Hospital in Sydney, NSW. Since her graduation, Dr Alahakoon has completed further training in managing high risk pregnancies, and has qualified as a Maternal Fetal Medicine Specialist (CMFM). She is currently working at The Westmead Hospital as a senior staff specialist, a position she has held since 2005, and is the current Head of Maternal Fetal Medicine. Through this work, she has gained extensive experience and competency in managing both normal and complicated pregnancies, and continues to manage high risk obstetric patients in the public sector. Dr Indika Alahakoon’ s qualifications also include further training in Obstetric and Gynaecological Ultrasound (Diploma in Diagnostic Ultrasound / DDU). She has a special interest in diagnosis and management of fetal abnormalities, first trimester screening, prenatal diagnostic procedures as well as 3D/4D ultrasound. 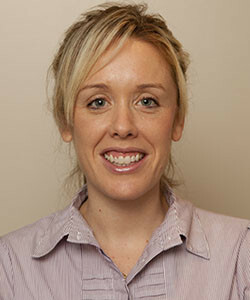 Her experience in working at SAN Ultrasound for Women at Sydney Adventist Hospital for five years as well as in the capacity of the Director at Centre for Women’s Ultrasound since 2009, has led to extensive experience in pelvic and gynaecological imaging. Centre for Women’s Ultrasound is now one of the major referral centres in the area for ultrasound diagnostic procedures for investigation of fertility such as Sonohysterogram and HyCoSy for tubal patency. Dr Indika Alahakoon holds an academic title as a Clinical Senior Lecturer in Obstetrics and Gynaecology at The University of Sydney. She is involved in several research projects investigating structural anomalies in the fetus, pre-eclampsia, fetal growth restriction and stillbirth. She has completed a PhD on the role of angiogenic factors and monocytes in the cause of fetal growth restriction and pre-eclampsia. She was awarded the Ella Macknight Research Scholarship from the RANZCOG Research Foundation for this work in 2007. 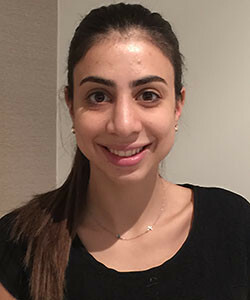 Anna Marie Georgiou has worked in ultrasound for over 7 years, and has a keen focus on women’s health. Anna loves working at the Centre For Women’s Ultrasound, and feels that the other staff members are like a second family to her. Anna is engaged to be married to her long-term partner, Mark, this year. Outside of work, Anna loves to spend time with her family, as they are her life. 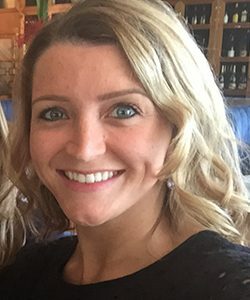 Michelle is a positive and caring person with three young children. She has a background in Speech Pathology, but since having her own children, Michelle became interested in pregnancy and obstetrics. She wants to support women and their families through their pregnancies. 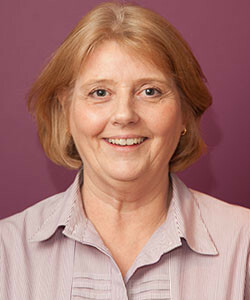 Michelle is passionate about obstetric ultrasound and loves connecting with her patients during their scan and giving them a positive and memorable experience. Norwest Private Hospital, Bella Vista – Suite 108, Level 1, Specialist Medical Centre, Norwest Private Hospital, 9 Norbrik Drive, Bella Vista, NSW 2153. Westmead – Suite 25, Level 1, 163-171 Hawkesbury Road, Westmead NSW 2145. Westmead – Centre for Women’s Ultrasound, Suite 25, Level 1, 163-171 Hawkesbury Road, and Westmead NSW 2145. The Westmead Hospital – Head of Department, Westmead Institute for Maternal and Fetal Medicine, diagnostic ultrasound list for public patients with maternal or fetal complications. To book a consultation with our team, including Dr Indika Alahakoon please don’t hesitate in contacting the Centre for Women’s Ultrasound.